Pamper yourself with a soothing massage bar for an at home spa experience, providing a full body massaging effect while you cleanse. 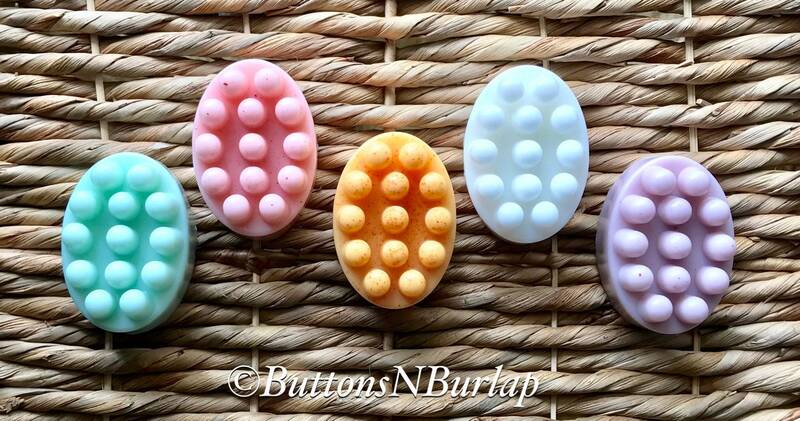 My massage bars help relax tight muscles to leave you feeling relaxed and clean. 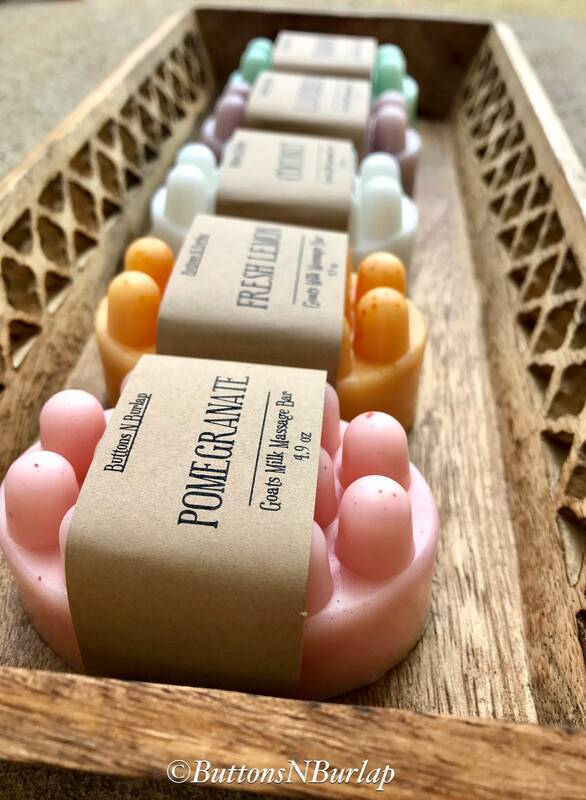 Made with Organic Goats Milk, and essential oils for a soothing massaging experience. This massage bar is detergent free goat milk glycerin soap, leaving skin nourished, and feeling fantastic. Organic Goats Milk to form a creamy soap that deeply hydrates your skin and locks in moisture. Goats milk helps slough off old, dead skin cells, allowing new healthy cells to surface, and reduces signs of aging and stress from skin. 🍶INGREDIENTS: Organic Goats Milk Soap, and essential oils. ❗️Allergy Warning: My soaps are made with ALL NATURAL ingredients, however anyone with skin sensitivities or allergies should first test the soap on a small spot of the skin and stop using it if any irritation occurs. Smells great ! Bought this as a gist but I plan on getting one for myself !